Are you the decorating type? If you are then this is the loot for you. its a picture of a guy under a tree. follow the directions below to get your hands on this painting. 1. 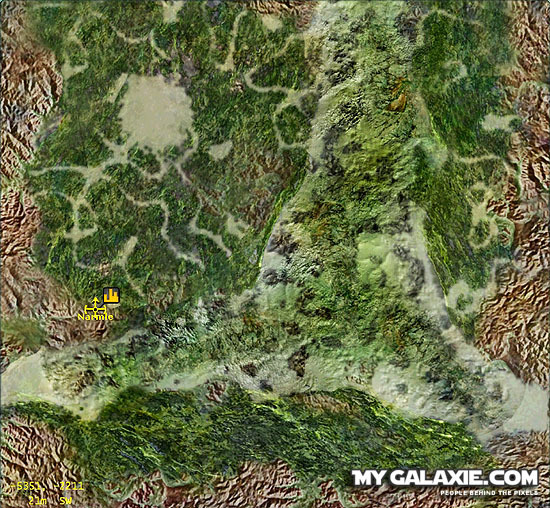 Head to the planet Rori and select the city of Narmle. 2. 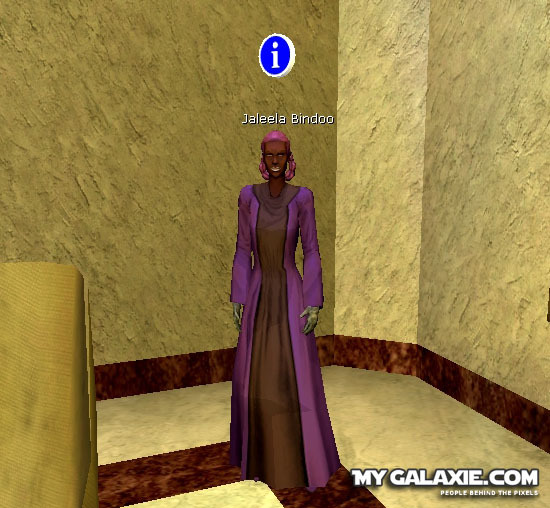 Head for the guild hall that has a structure over the door and in the back you should find Jaleela Bindoo. If she's not there go to the other guild halls she sometimes moves. 3. 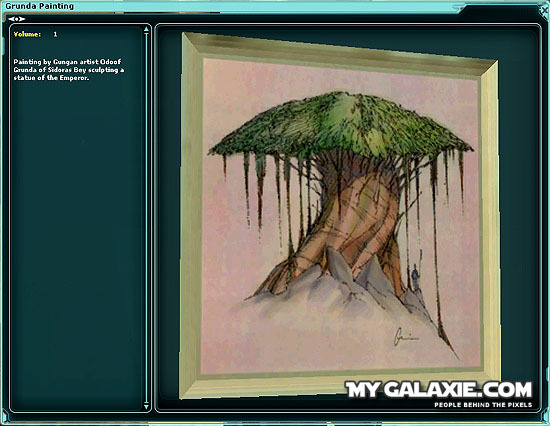 Go ahead and take the job she offers to retrieve the picture you'll be sent to go pick it up from a Gungan named Odoof Grunda, he's outside of the city it's usually about 800m away. Once you get there a thug will spawn he has about 300 HAM and should be easy to kill. retrieve the picture from him the kill him, he has about 800 ham. 4. head back to Jaleela Bindoo she'll be upset that you failed the mission. 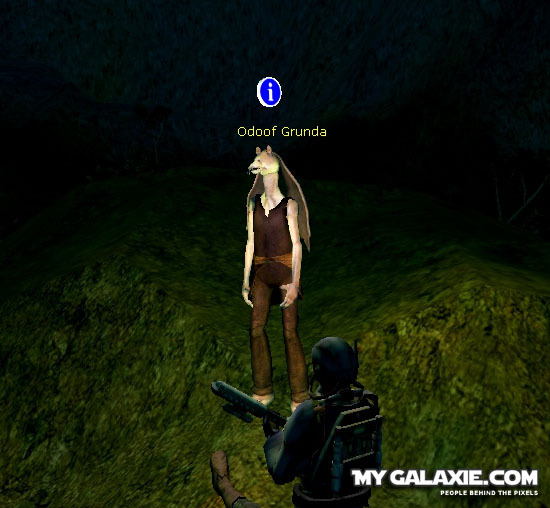 You can redo this as many times as you like but make sure you kill Odoof Grunda before you go back to talk to her because if you don't she'll take all the pictures and the mission will end and you wont be able to redo it. 5. Once your all done this is what you can look forward to.